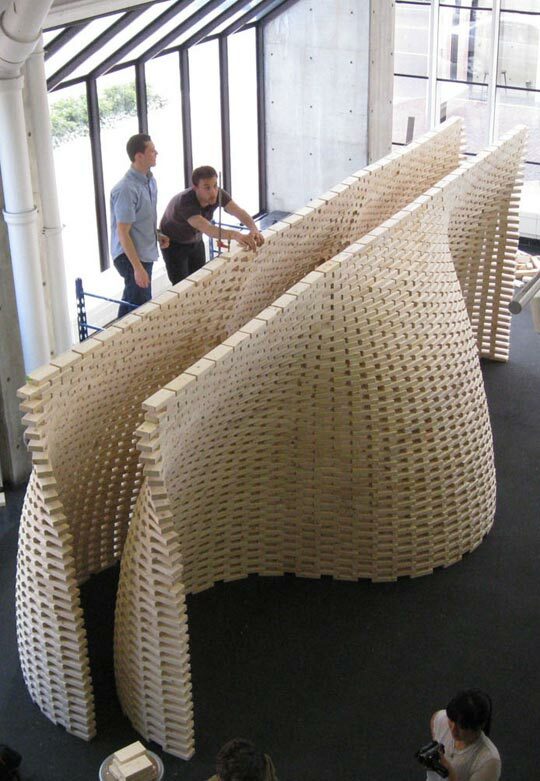 Students at the Graduate School of Design at Harvard University under the guidance of Professor Ingeborg M. Rocker of Rocker-Lange Architects , have built a wall structure out of chipboard bricks. 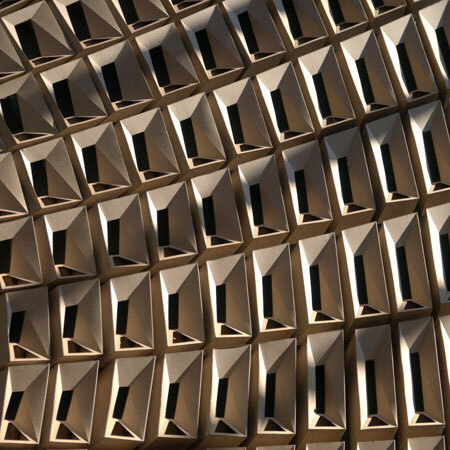 The research seminar On the Bri(n)ck II: Architectural Envelope traces the historical development of a debate about the architectural envelope that began at the end of the 19th century. It was a critical period in the industrial revolution when new materials and technologies became available and started to inform architectural design and debate. 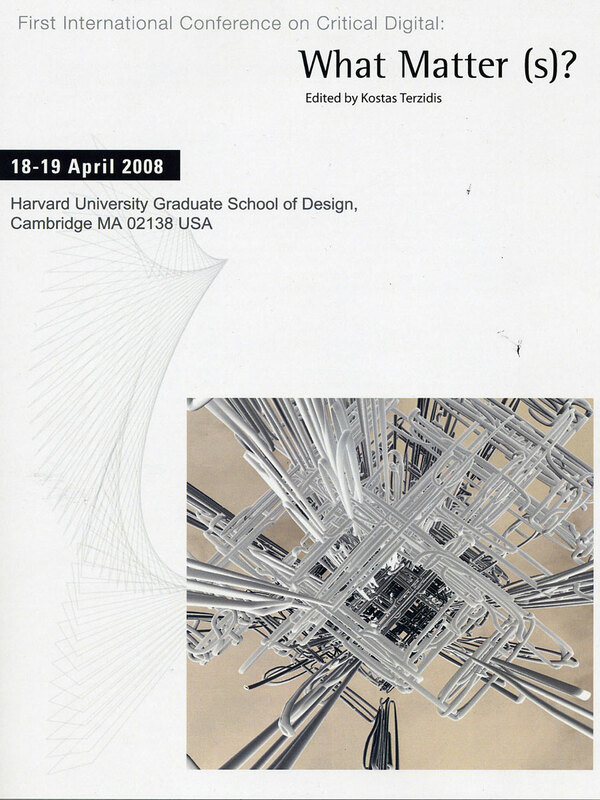 Architects began to question the role that mass-production should play in architecture, and also questioned the influence that new notation and construction-techniques had on the architects’ work. Today these and similar questions are resurfacing as the digital medium literally informs the conceptualization and production of architecture. In the beginning of the 20th century brick became the dominant local material, embodying the socially and politically motivated expansions of rapidly growing European cities. Brick was particularly favored in the urban centers of the Netherlands, Germany and Austria. Today the role of brick has evolved, though solid and capable of bearing great loads, it is now mostly used as cladding. On the Bri(n)ck II focused consequently on the changing role and materiality of brick today. The project engaged several teams to develop architectural envelopes that were constituted from either mass-produced or mass-customized load bearing brick units, or alternatively mass-produced or mass-customized non-structural brick cladding. 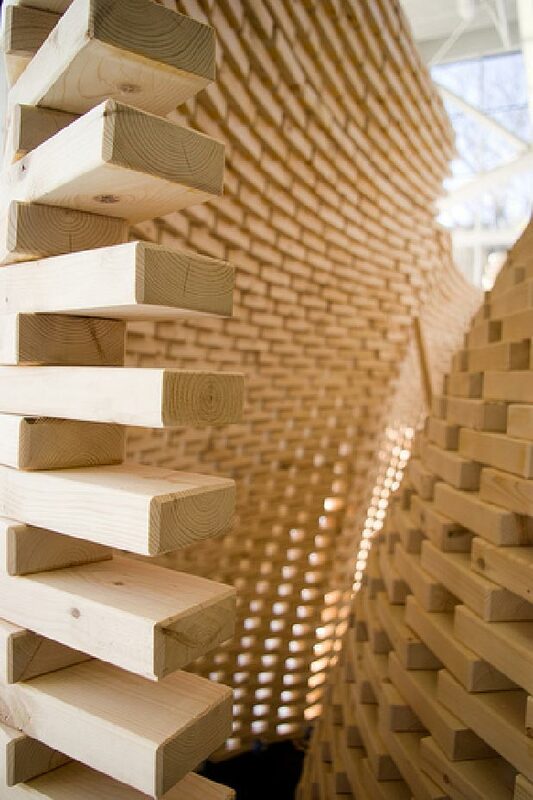 In addition to the research on different discretization techniques and structural properties of surfaces, the research-seminar also sought to identify alternative brick materials that were widely available, sustainable, light and inexpensive. 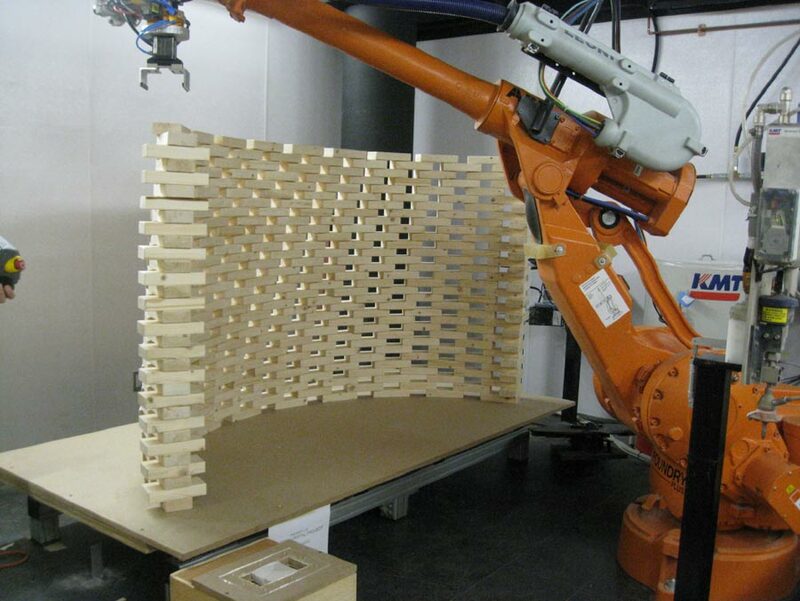 On the Bri(n)ck II (1:1) project employed several hundred cardboard brick units to form the geometry of a Limaçon surface. 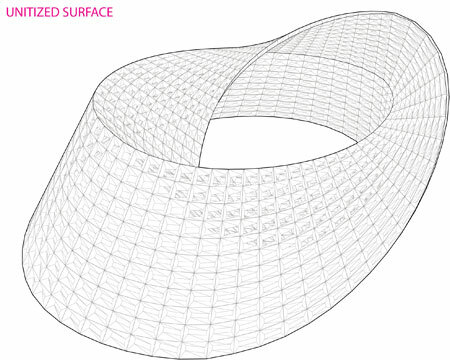 This is a continuous geometry that inscribes an interior space with a single surface. The openings of the brick-units along with the units adapt in size, geometry and width to the surface’s geometry. At the same time the overall surface geometry is challenged through the discretization techniques generating the bricks. Using a 2-dimensional material to create a 3-dimensional brick unit was challenging. 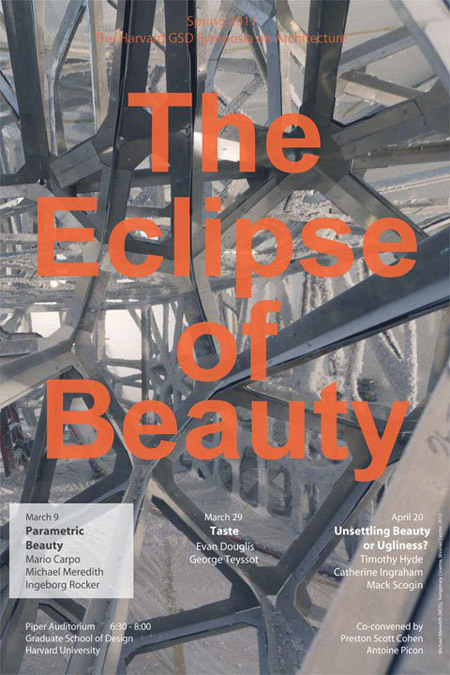 Research had to overcome obstacles such as the geometric construction of the unit, its ability to unfold and resourceful use of the material. Working with chipboard also required a very precise study of the units’ geometry in relation to their structural stability. Much attention was paid to the units, their seams and the ease in which one was able to assemble and disassemble them. A chipboard rib further stabilized the unit connections. The project was designed and built using the CAD/CAM facilities at the GSD. Overall the design and building process brought up questions regarding mass-production and mass-customization. The project explored the limits of a mass-customization process; examining how the same procedure can lead to an array of possible results. 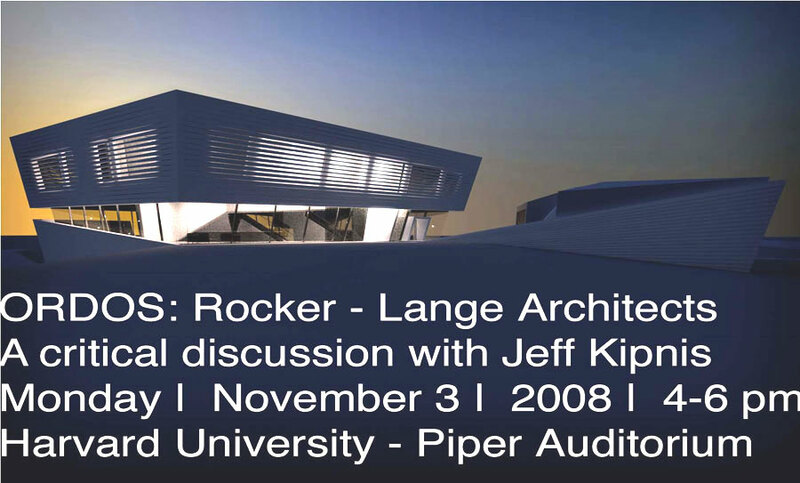 Y Inge Y is an independent student project that grew out of an investigation in modular form in the “On The Bri(n)ck” class with professor Ingeborg M. Rocker of Rocker-Lange Architects at the GSD in the fall of 2009. 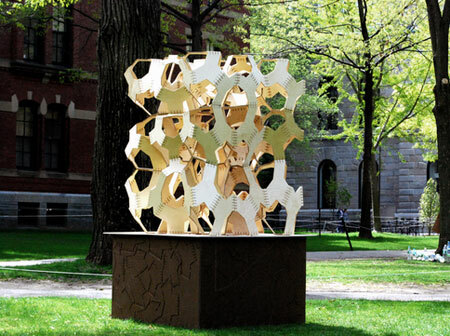 It was recently completed for the Harvard Arts First festival in April of 2010. 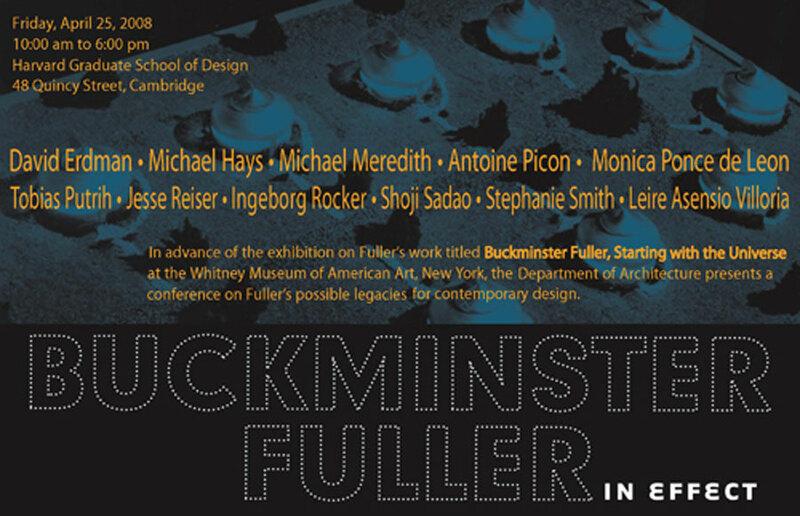 The project was produced with the help of Hiroshi Jacobs, Jon Scelsa, Ben Lehrer, Doug Jack, & Julian Wu. 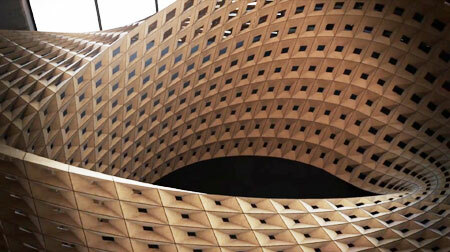 The material is baltic birch plywood with a polyurethane finish, there were no mechanical fasteners used. 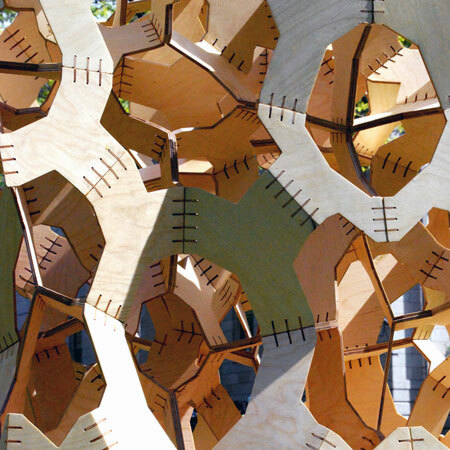 There are over 3000 unique pieces in the sculpture which were cut using a laser-cutter and a CNC milling machine. 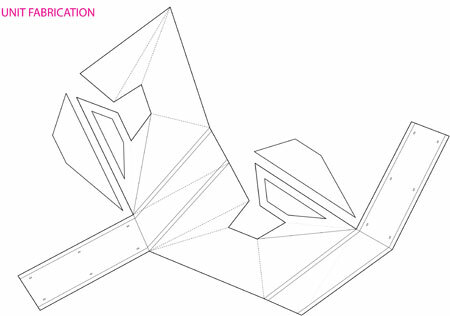 All geometry was generated and numbered by Rhinoscript to organize the production and assembly of the pieces.